Speaking of Lark Street businesses... After visiting the new Pint Sized Friday we had a chance to stop in at the new pet supplies store just across Jay Street. Neon Dog has been open a week in the second-floor retail space at 252 Lark Street. 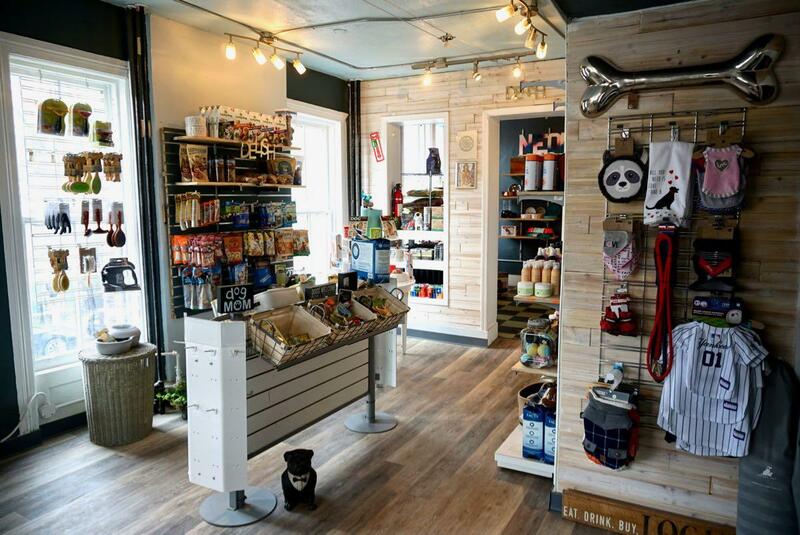 The shop, owned by Romel Pryor, offers a range of pet supplies, from food to toys to grooming accessories. And if you don't see something you're looking for, ask -- we heard today that they've already changed up the dog food lineup based on feedback from customers. The store is open Monday-Sunday 9 am-7 pm. It is so exciting to see all these Lark street businesses opening and expanding! Keep it up, Lark. Good for them! I always wanted to open a place like this down there. I couldn't figure out why it hadn't been done before.